Call centers trust our professionally recorded prompts and on-hold marketing to keep callers happy! 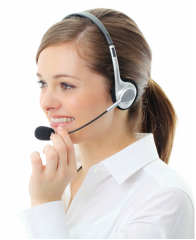 Call centers trust our professionally recorded prompts and on-hold marketing to keep callers happy! Nationwide call centers (for hotel chains, airlines, ticketing companies and more) trust our professional recording services to route callers, provide a positive experience and keep callers from hanging up. Some of the country's largest call centers (based on phone-in volume) have trusted our expertise in creating a more positive phone-in experience for their callers. Our team will assist your marketing team to create a more desirable call-flow, providing a more efficient caller experience while we free up your staff's time. Call for more information about the Call Center On Hold Profit System from Telephone On Hold: 866-359-4653. Listen to demos below or call us to hear a customized demo! 1-866-359-4653. We learn about your call center via a comprehensive phone interview. We determine call flows and strategic goals. Our creative department will assist with writing both an on-hold script as well as guidelines for your call flow for you to review and approve. Upon approval, your scripts will be produced with your selection of voice & music from our soundstage. Delivery of audio files will be in the needed format for your call center.